Lindsay Allen was cut by the New York Liberty on May 17 and signed with the Aces later that day to assume primary ball-handling duties while incumbent starter Moriah Jefferson recovers from a knee injury. Lindsay Allen went from the waiver wire to the starting lineup. All in a matter of 20 minutes. 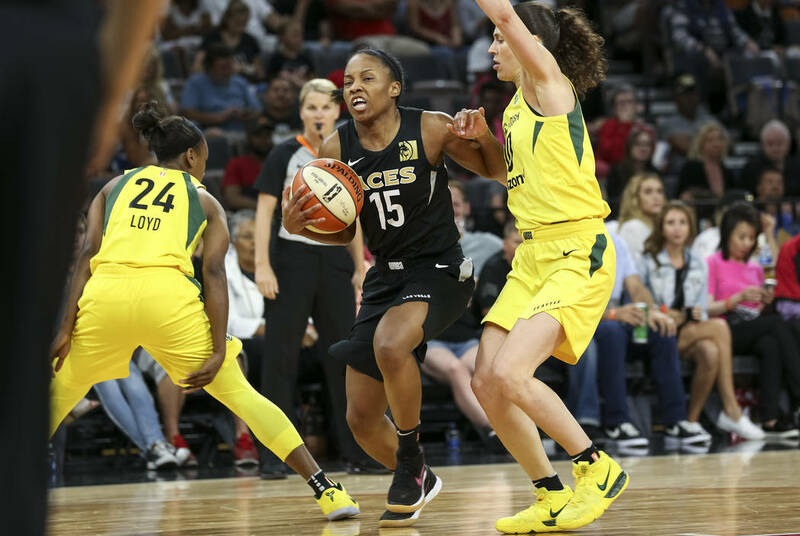 Allen, a second-year point guard out of Notre Dame, was cut by the New York Liberty on May 17 and signed with the Aces later that day to assume primary ball-handling duties while incumbent starter Moriah Jefferson recovers from a knee injury. Allen made her debut with the Aces in the season opener May 20 and is averaging 6.7 points, 4.0 assists and 3.7 rebounds in 30.7 minutes per game. A lot better than unemployment. Laimbeer, then with the New York Liberty, drafted Allen in the second round of the 2017 WNBA draft. She was cut during training camp, but was re-signed in May and played 28 games as a backup for the Liberty last season. She returned to New York’s training camp this year and was one of the team’s final cuts. But the coaching staff insisted she wouldn’t be out of work for long, and Laimbeer called her on her way home from the Liberty’s facility. Allen met the team in Connecticut for its season opener and has started the past two games. Her familiarity with Laimbeer and his offensive and defensive systems has smoothed her transition to Las Vegas. Jefferson injured her knee last season and hopes to return by the end of June. She shot around and rehabbed after practice on one end of the court Tuesday at Mandalay Bay Events Center while Allen and her new teammates rehearsed set plays on the other end. “I think she’s going to be a long, long-term quality backup lead guard,” Laimbeer said of Allen. But she’s the Aces’ starter.